Ideal for Pro-A/V applications, the ATEN NRGence• PE6108AV eco PDUs are intelligent, 1U rack PDUs that contain 8 AC outlets available in an IEC socket configuration. 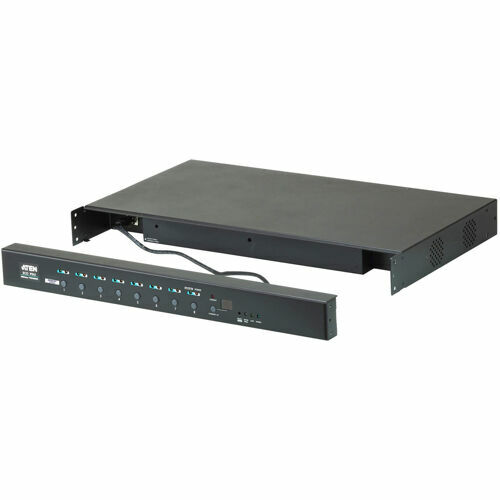 The unique design with detachable front panel is convenient and mounts with different Pro-A/V equipment in 19” racks with different depths. In addition to remotely controlling individual outlets over the LAN, the front panel pushbuttons offer an extra option to control the outlets locally, allowing the flexibility to easily shutdown Pro-A/V equipment on the spot or from a remote location – for reduced power consumption. The outlets feature a sequential power-ON function that ensures Pro-A/V systems are powered on safely. 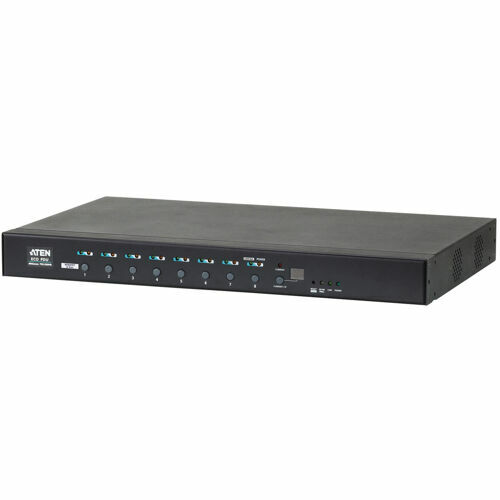 Furthermore, compatibility with the ATEN Control System and Control4 libraries allow the PE6108AV to integrate with any Pro-A/V equipment for full control of all devices without complex programming. Supports RS-232 port and power outlet control (on/off) by outlet group.